USB Emulator first hand experience / methods! There is not a lot of first hand accounts on here so I thought i would share what I have learned so far. Maybe if the hxc / gotek guys share how they use the usbs it will clear up a lot of confusion. I mean the mpc 2000 is a 21 year old computer so it is always going to be super limited, but I feel like the USB is actually a great feature. I just wanted to help clear things up for people and hopefully learn how other people use the usb emulator for themselves. I recently bought my first mpc last week (A 2000 with 32ram, 8 outs, and the gotek emulator) I think it's the gotek emulator at least. It has the digital LCD screen that displays scrolling text and the two buttons for scrolling between disks. I'm new to all this but, right now i'm learning how to save and load. I didn't have to format the usb myself. The previous owner has been super helpful and he included the usb already ready to rock. My usb is formatted in the old MAC32 format for floppy disks. It has the os boot file on it which has to be selected on the actual emulator to boot up properly. The usb it came with disk images in .hfe format that act as folders. On my usb they were named DSK0001 DSK0002 etc. etc. These are essentially 1.44mb floppy partitions. From what I understand, the OS on the mpc 2000 can't read more than that, which is why you can't save more than 1.44mb per disk image. You can copy and paste the DSK .hfe files in finder and rename them. So for example DSK_beats1 DSK_beats2 or however you want. You don't even need to keep the DSK i think. I plugged in my usb, booted the mpc up, then selected one of the DSK .hfe files and formated it so it was empty.You can just take the usb out while the mpc is running so I did and then i copy and pasted the that formatted .hfe. onto the usb and named it sequentially for a project i was working on. DSK1_bayslap_sample DSK2_bayslap_sample DSK3_bayslap_project. If you try to save all your samples The names scroll across the front of the emulator and you can name them as long as you want which makes navigating and loading super easy if you are organized. It's not the mpc reading which is limited to 8 characters i believe. A lot of my projects are quite big so i save the samples individually into the individual .hfe folders labelled as samples on my usb. When i fill up one .hfe holder, i just select the next folder with the buttons on the emulator and continue saving. I then save the sequences and songs into the hfe. folder named project. I keep a notebook with my mpc with a sort of guide to what samples are where and that helps keep things organized. I have loaded one project into the mpc and it seemed to work fine but i will try to load in a song I made last night and see how it all goes to double check the process. I guess I would load in all the samples and then the song and sequence last so I can pickup where I left off? Anyways that's how I use it right now. I will update more later but I hope that sheds some light on it. Re: USB Emulator first hand experience / methods! If you hold down both buttoms on the the front panel as you turn on the Mpc - it formats the usb stick into 1.24mb particians. Mine is 1000 virtual floppy disks. But I'd advice the model that's just 1 hundred disks. Or its far too complicated. At least with these you can save the little disk on your pc. Mine is quite reliable. just a shame I cant build bigger programs. You do have to work out a lot of stuff out for your self when you go a bit cheeper. hok-2 condisider upgrading your Gotek to FlashFloppy, it does not require paying for an hXc license and is in advelope develment (if you have not done so already). Then for another $3 you can order an OLED screen to replace the LED one and get a knob for $2 which is far faster to navigate through than using the old tactile buttons. I'll have to post some pictures of it as I have a couple units here I'm going to modify. How did you get on with loading the full song? Got an emulator myself installed literally the other day. Actually thought I was getting a CF drive installed so have been a bit concerned with how i can save large files/projects. If one 1.44 folder can fit a full tracks worth of sequence/song data, and the samples/programs can be split across other folders (but all loaded together to get the full track up), that will be ok for me I think. That’s my main concern right now! I have been hammering songs out recently and it's been fine now. 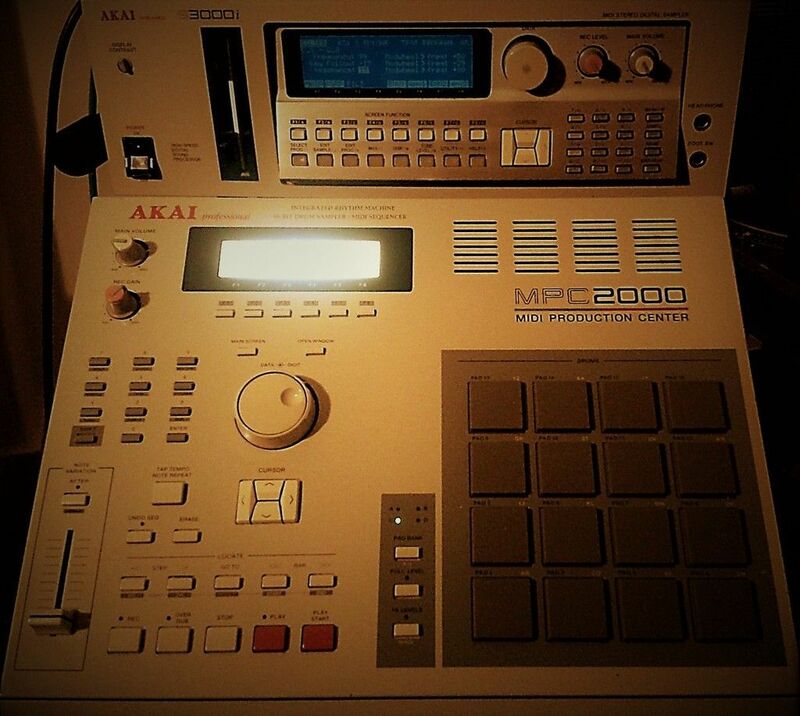 I just fire up the mpc, sample, create songs etc. etc. When i'm done and want to save, I put my usb stick in my comp, fire up the HXC program on my computer and create a few 1.44 partitions on it named 12YU, 13YU, 14YU, 15YU. 11 is the last folder for a previous track. 12YU is the start of this current song. So I save all songs and sequences on 12YU. (The first "floppy" of my song always has the songs & sequences / program files on them ALWAYS) That is my system and it keeps organizing things so much easier. The first floppy is my master disk. It has the two most important files in them. I have too many samples to save on one disk, so when trying to save everything on 12YU it will eventually say something like "error disk full". At this point I go to the gotek emulator in the mpc. I choose the the next folder 13YU, and click save. The error message will still be on the screen as i swap folders on the gotek emulator. It doesn't matter though. Once you select 13YU just press save. It says disk full right away (And WE KNOW 13YU is empty because we created it on the HXC program) just press save again. It always saves it the second time. Eventually it will give me another "error disk full message" on 13YU because i haVE SO MANY SAMPLES. so i repeat the process until it's done. So a few days later i want to go back to that track. I put in my usb, boot up the mpc, and then I browse through the disks on the gotek. I find 12YU (that is the first folder of the many for this song) I load up 12YU because it has all sequences and songs files & all programs / sounds. I always load those first. Then the mpc will say it can't find sound 001. So what i do is I select the next folder. 13YU. then press load. And it should find the sound because it loads them sequentially and i save them sequentially. Eventually it says "cant find sound 0004. So on the gotek i select 14YU and click load. Sound 0004 should be in there. ANd i just continually go through the folders sequentially until it's all loaded! Sometimes you just need loads of folders because the mpc saves and loads files in a linear fashion. it won't save loads of samples efficiently. It won't organize the files for you. If you have one sample that is 1mg. and the next sample is .5 meg. It won't save both in the 1.44 .hfe partition on 13YU because it's too much. It won't find some small samples to use to fill up the extra .44mb on 13YU. Even if you have 4 .1mb samples. So sometimes i end up with 7 disks because they are all 1/3 empty just because i have a few big samples. If you have any more questions hit me. If there is enough interest I might try to do a clear write up for people as I think the lack of information leads to all sorts of rumous on this stuff and scares people off. It's taken me a couple of solid months of experimenting but I finally think I understand it and it's made using the MPC2k a breeze. Saving is very slow yes, loading isn't as painful. But it's a 21 year old computer you have to be patient. It's slow. I think the gotek is pretty good for it though and really keeps the MPC2k relevant.